Member of the Standing Committee of the Political Bureau of the CPC Central Committee. 1961-1966: Student majoring in industrial enterprise automation of the Department of Electric Machinery of Harbin Institute of Technology. 1966-1968: Stayed at Harbin Institute of Technology awaiting job assignment. 1968-1975: Technician of Shenyang Switchgear Plant in Liaoning Province. 1975-1980: Vice chairman of the Revolutionary Committee of Shenyang Electrical Equipment Company in Liaoning Province, member of the Standing Committee of the CPC Committee of the company, and deputy manager and manager of Shenyang Electrical Control Equipment Company and deputy secretary of the company's CPC Committee. 1980-1981: Deputy director of Shenyang Bureau of Mechanical and Electrical Industry and deputy secretary of the bureau's CPC Committee. 1981-1982: Deputy secretary general of the Shenyang Municipal Committee of the CPC in Liaoning Province. 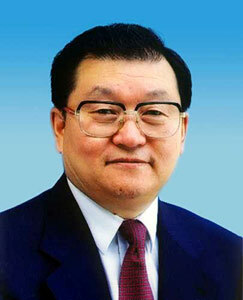 1982-1983: Vice mayor of Shenyang, Liaoning Province and chairman of the Shenyang Municipal Economic Committee. 1983-1985: Secretary of the Shenyang Municipal Committee of the CPC in Liaoning Province and mayor of Shenyang. 1985-1986: Deputy secretary of the CPC Liaoning Provincial Committee and secretary of the CPC Shenyang Municipal Committee. 1986-1987: Deputy secretary of the CPC Liaoning Provincial Committee and acting governor of Liaoning Province. 1990-1991: Deputy secretary of the CPC Henan Provincial Committee and acting governor of Henan Province. 1991-1992: Deputy secretary of the CPC Henan Provincial Committee and governor of Henan Province. 1997-1998: Member of the Political Bureau of the CPC Central Committee, secretary of the CPC Henan Provincial Committee and chairman of the Standing Committee of the Henan Provincial People's Congress. 1998-2002: Member of the Political Bureau of the CPC Central Committee and secretary of the CPC Guangdong Provincial Committee. 2002-: Member of the Standing Committee of the Political Bureau of the CPC Central Committee. Alternate member of the Twelfth CPC Central Committee and member of the Thirteenth through Seventeenth CPC Central Committees. Member of the Political Bureau of the Fifteenth CPC Central Committee. Member and Standing Committee member of the Political Bureaus of the Sixteenth and Seventeenth CPC Central Committees.